I am realizing with these end-of-month updates that I am not great at sticking with the goals I set. I am OK with this, and I recognize that's part of my personality. So I guess I want those of you readers who are more focused than I am to know that I am fully aware that I don't usually meet the goals. I use more of that "aim for the moon and you'll land among the stars" approach. For example, this month I spent $119 on groceries. My goal was $100, but $119 is pretty awesome, and I never would have kept it that low if I hadn't been aiming at $100. Another goal was to list 5 things on ebay . . . hm. We did receive our tax refund just this week so we were able to cover some all those expenses we used our credit card for in March. We were also able to pay the property taxes on time - Yahoo! I had several posts I wanted to get on this blog as well and those are finished or nearly so in most cases. You'll see posts about drugstore deals, cloth wipes, making your own bread and how I grocery shop in May. I did manage to post about putting together your own freezer meal swap, so that's one off the list anyway. I am proud to report that I did get the freezer defrosted! 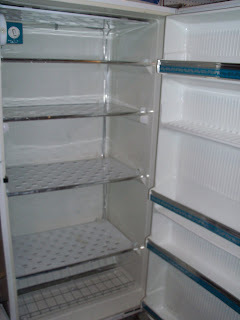 My inside freezer absorbed those few items that still needed a home, and I was able to organize those shelves, too. I have a meat drawer, a shelf for pre-made dinners, a frozen veggies & fruit shelf, and a misc. shelf. I made a list of what's on each shelf and used a magnet to stick it to the outside door so nothing gets "lost." Here is what it looked like when all the ice melted. We only found one thing buried in the ice: a very welcome container of 4 cups of diced tomato. 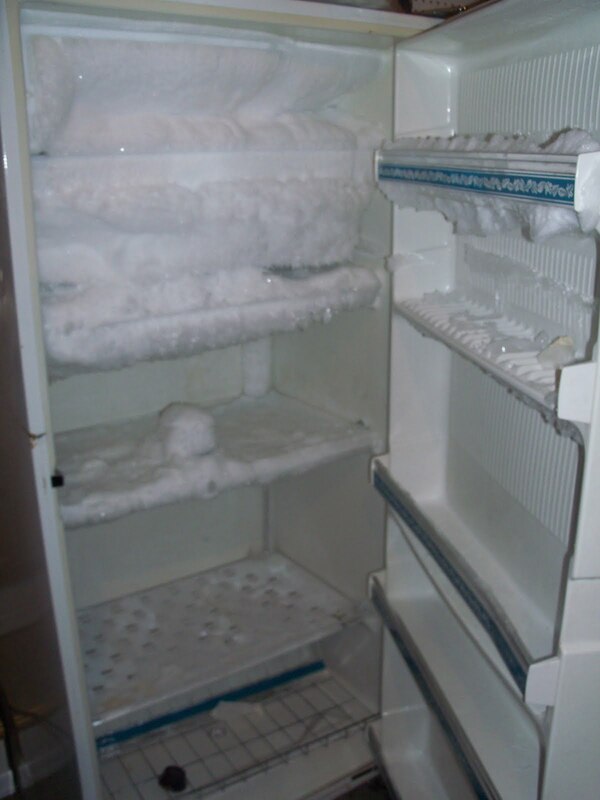 I am hoping to leave this freezer unplugged for several months to save energy. I'll have to use it again when the garden starts producing. I read that the refrigerator and clothes dryer are the biggest users of engery in an average household, so I'm hoping having this old tank unplugged and using the clothesline will make a big difference this summer. $100 on groceries again - we'll be gone for a full week and now that the freezer is low I'll focus on the pantry - I hope. Blog posts regarding: Cloth wipes, making your own bread, drugstore deals, hopefully one about keeping chickens, and at least start a series on how I grocery shop. Use the dryer less than 5 times. Yay, your blog has been very interesting lately, Katie! Loved the Spring Cleaning entry. An alternative for Ebay we've been doing lately is selling used on Amazon. Made a tidy bit of cash last month and a lot more room on our DVD shelf! This works really well for media - especially newer books and TV series. It doesn't take nearly as much time to list as on Ebay. 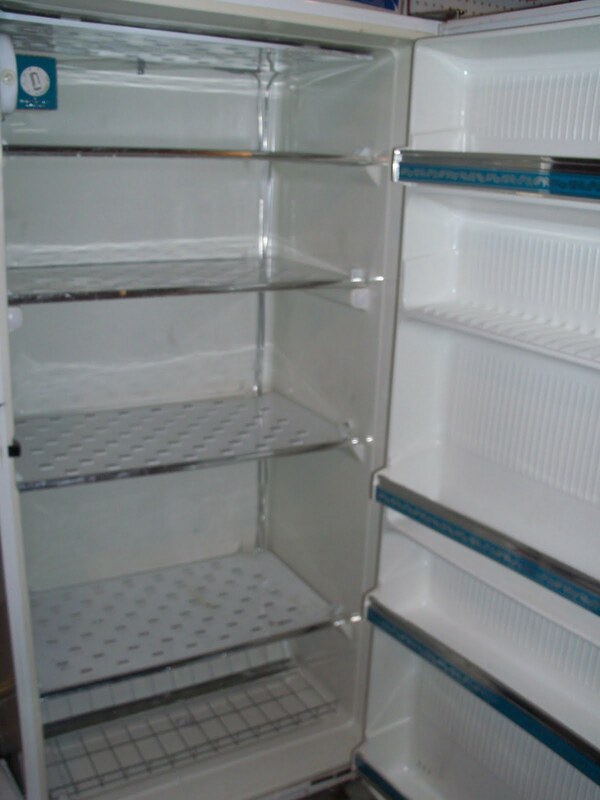 We list items at the lowest price. They generally sell right away, then we use media mail to send. However, since Amazon takes a cut it's not worth it if you're listing the item for only a few cents. Don't forget about Craigslist as a way to shift items too big to mail. @ Lisa: Thanks for the encouragement! Sometimes I write all this and don't know if it's any use to anybody so the kind words are appreciated. We have sold lots of media items on half.com. Their minimum price is $.75 so we make a little something at least on each item. @ Sarah: Yes, we've used Craigslist a few times. I'm not super comfortable with strangers coming to the house, but it's definitely a good option for big stuff. 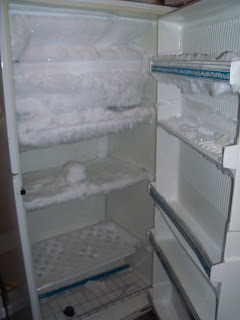 I also had heard about the full freezer being most efficient - great idea to just use water to fill the space. Feel free to moan about British appliance deficiency any time.